Trivandrum is the capital of the state Kerala, the god’s own country. It is the largest city in Kerala. Some of the famous locations in Trivandrum to visit are Kovalam beach, Sanghumukham beach, Napier museum and zoo, Neyyar wildlife sanctuary and so on. The city is known for its rich culture and heritage with of the historical monuments. It majorly deals with spices and sandalwood when it comes to trading. The city has some of the important research centres in the nation. The application process of cash loan in Trivandrum is quite simple. One can easily get a personal loan via the loan apps. 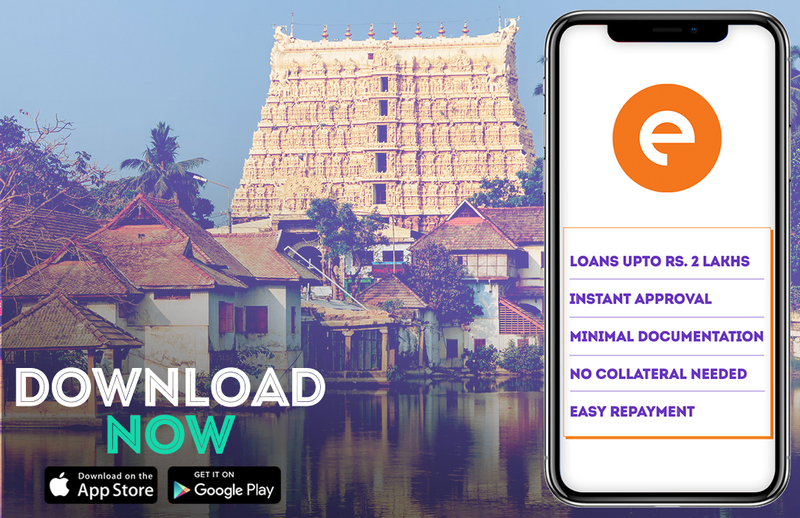 You can find many such short term loan app like CASHe on google play store or apple app store. People take loan for various reasons such as medical emergency, to pay educational fees, to buy a large asset, to pay travel expenses or home repair expenses or for debt consolidation. You have to submit your basic documents to avail a short term loan. These documents are easily available with most of us. Your Pan Card, Aadhar card, Passport or Driver’s license will be a valid proof of identification. As address proof, you can submit rental agreement or passport or utility bills. You also need to showcase the income proof like your 3 to 6-month salary slips and your bank statement credited with salary to get a cash loan. You easily can apply for short term loan if you are between 23 years to 58 years old. You have to be a resident of India to apply for a cash loan. One must be a salaried employee of a registered company. Once the due date of your cash loan arrives the short term loan app will send you alerts so that you don’t miss the date and repay the amount on time. When you apply for short term loan you have to upload your bank details on the app itself, so you can repay the amount via bank transfer. Another alternate is to deposit a cheque. The procedure of cash loan repayment is hassle free just like the application procedure. • The best part about such loans is the quick application process compared to the loans offered by banks. • Once your cash loan online is approved by the app the loan money is disbursed in your personal savings account within a few minutes.